I am so psyched to announce this last minute confirmed coverage! It’s been a while since I ran into the Hartford, CT jamband as they pulled a last minute show at Newby’s in Memphis a couple of years ago, and now I get to see them rock The 8×10 in Baltimore! 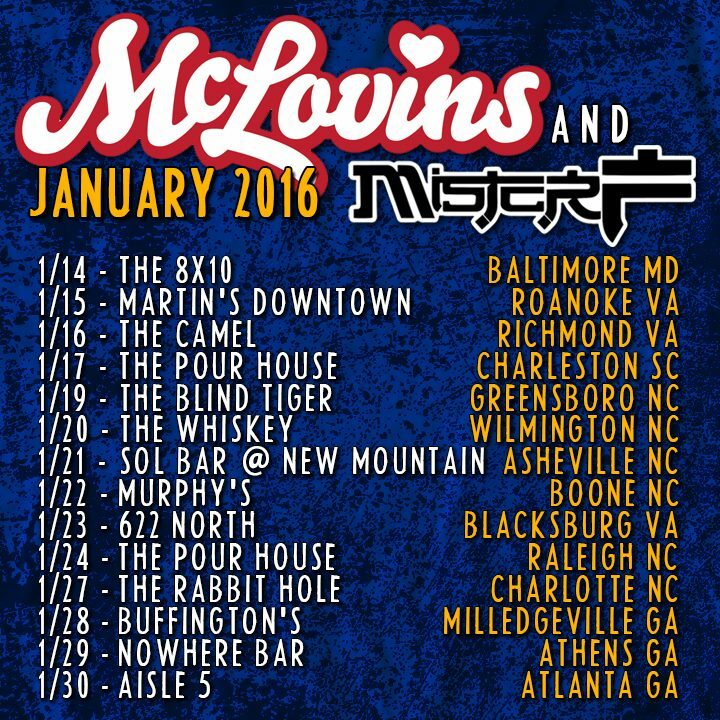 Joining the McLovins will be Mister F from Albany, NY and Atlas Road Crew from Columbia, SC! It all happens TONIGHT, so let’s get out there and rage! I’ll be covering the show for the DC-based premier live music publication Live Music Daily. This entry was posted in Confirmed Coverage, Just Announced, Live Music Daily and tagged Atlas Road Crew, Baltimore, Concert, Jamband, Live Music, Live Music Daily, Maryland, McLovins, MD, Mister F, Rage, Rock, Rock & Roll, The 8x10.